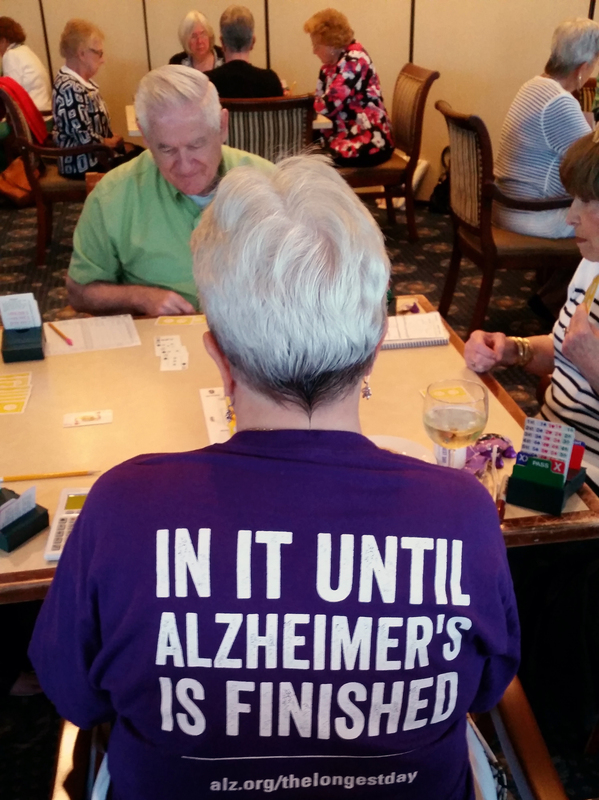 On June 21st, The Longest Day, teams across the country and around the world put their passion to work to support those living with Alzheimer’s disease and their caregivers. 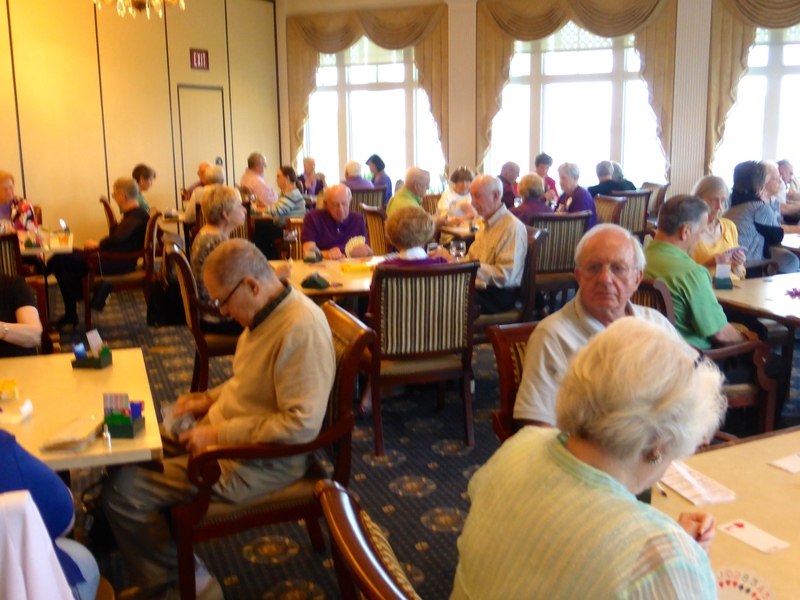 They played cards, rode bikes, cooked, read, went horseback riding, and participated in many other activities. 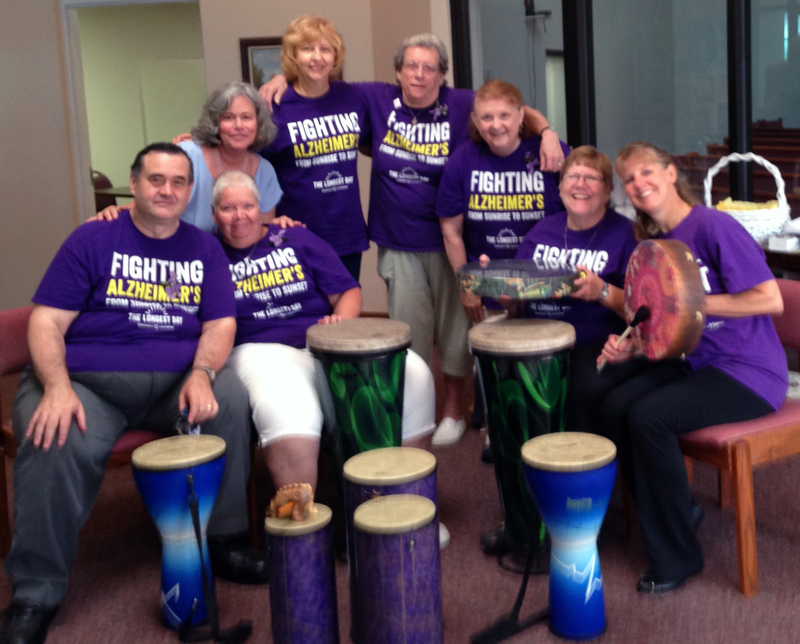 The Longest Day, held annually on summer solstice from sunrise to sunset, symbolizes the challenges those living with Alzheimer’s face every day. Teams not only helped raise awareness about Alzheimer’s but raised much-need dollars to support ongoing education and support. This phenomenal success would not have been possible without the dedication of our team captains, team members, and the families and friends who supported them. THANK YOU! We’ll be doing this fun and exciting event again in 2016. Join us, won’t you? Watch for details! 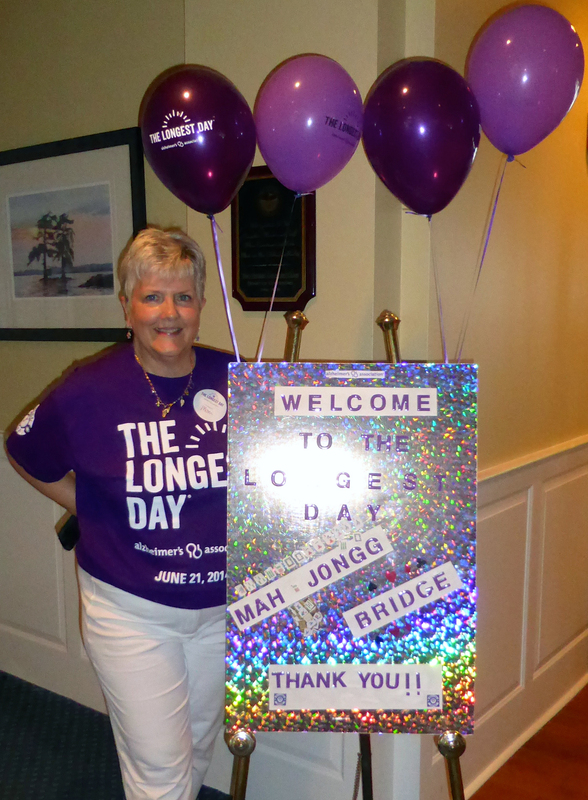 The Longest Day event was held on Friday, June 5 at the Two Rivers Country Club in Williamsburg. My mom was a successful businesswoman. After her retirement, mom pursued her American Dream and started Anna’s Bakery in her co-op and worked there for the next 12 years. However, one day mom burned three cakes and couldn’t explain what had happened to her customers. Shortly thereafter, mom was diagnosed with Alzheimer’s disease. My sister and I started attending support groups to learn more about this disease which was previously referred to as “senility”. My mother passed away in 2008 at the age of 94 while another family member passed away in 2013 from Alzheimer’s and Parkinson’s disease. I remain an active advocate for those dealing with this disease. I attend community health fairs and speak to individuals about Alzheimer’s disease and the support offered by the Alzheimer’s Association. 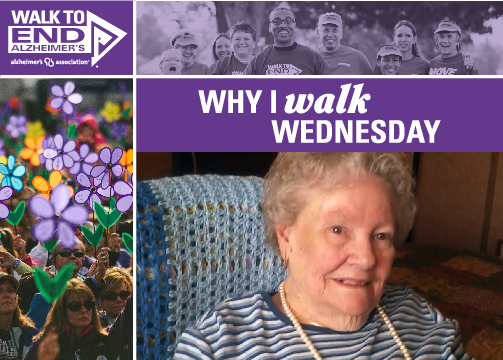 I also participate in the annual Walk to End Alzheimer’s and raise funds to further support the care, support and research efforts of the Alzheimer’s Association. Thanks to everyone that participated in the Hauser’s Challenge! First of all, I cannot thank everyone enough for all the miles that were run, walked, or biked during this past month! Each individual put in a tremendous amount of time and energy to help raise money for the Southeastern Virginia Chapter of the Alzheimer’s Association. I would just like to say congratulations to all of you! Now, let’s get to the good part, the winners. Since the Hauser’s Challenge was sponsored by Hauser’s Jewelers all Hauser’s employees are exempt from winning the grand prize. That being said the Hauser’s Challenge will have an individual winner who raised the most money per a mile and a winning team who raised the most money per a mile. All miles that were biked, Hauser’s Jewelers sponsored $0.10 per a mile. All miles that were walked or run, Hauser’s Jewelers sponsored $0.25 per a mile. The individual who raised the most money per a mile is Rona Altschuler!! Rona wins a $100 Hauser’s Jewelers gift certificate. The team who raised the most money per a mile was the Purple Pacers!! Craig Emerson, Elizabeth Emerson, Pam Ritchson, and Sally Lindsay will need to stop by Hauser’s Jewelers next week to pick up your $50 Hauser’s Jewelers gift certificate. The Hauser’s Challenge raised a total of $2607.75. 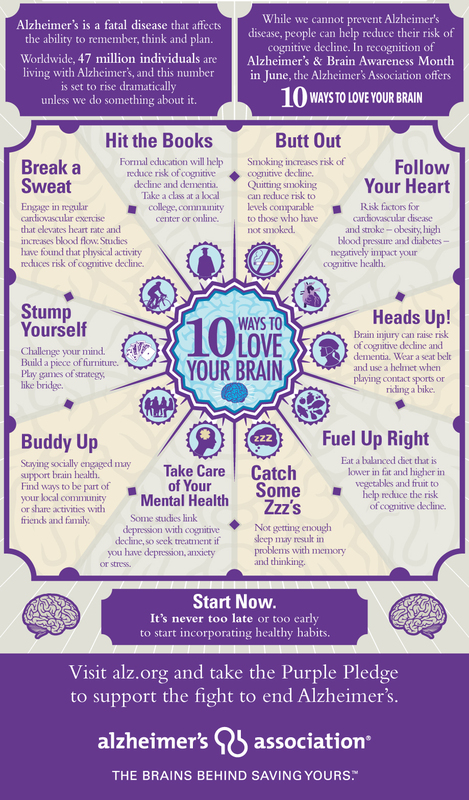 All proceeds will go to the Southeastern Virginia Chapter of the Alzheimer’s Association. Thanks again to all who participated and we hope to see you again next year! 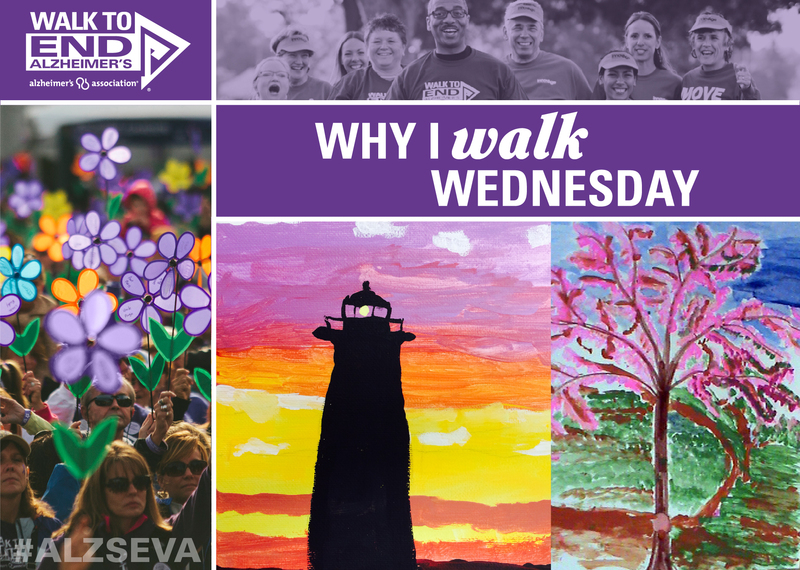 As the Director of Respite at Williamsburg United Methodist Church (WUMC), I’ve become close to many families dealing with Alzheimer’s disease. I meet loving caregivers doing their absolute best along this journey, and family members doing their best to function in a very confusing world. Respite offers a bit of hope and joy to families, knowing their loved ones are engaged in a safe, stimulating, social afternoon filled with art, music, exercise, conversation and education while the caregiver can take a much needed break for themselves. I see our members smile and greet their new friends as they arrive; I see caregivers take a deep breath as they depart for an afternoon away. Although we cannot cure the disease yet, we can conquer loneliness, boredom and helplessness that often plague individuals. Respite partners closely with our Williamsburg Alzheimer’s Association representatives to offer education and resources for our families. We connect caregivers with other caregivers so they can support one another along the journey. We provide social opportunities for families, in an environment where they can be who they are, and be ok with that. 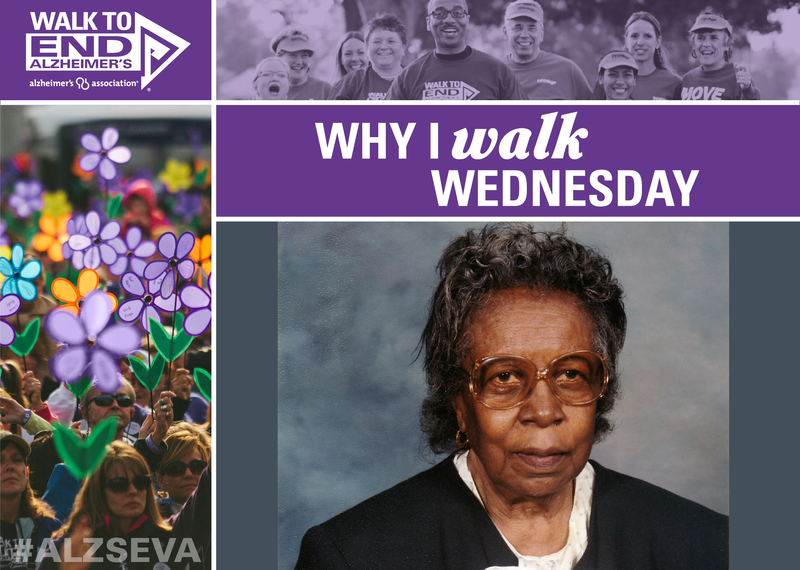 I participate in the Williamsburg Walk to help the Alzheimer’s Association raise awareness and funds for research, care and support. I participate in the Williamsburg Walk because I want a better world for our Respite members and their family caregivers, who are my friends. Our Longest Day teams are the best! The Longest Day 2015 has been a huge success thanks to our amazing team captains, every team member, and the families and friends who supported them. 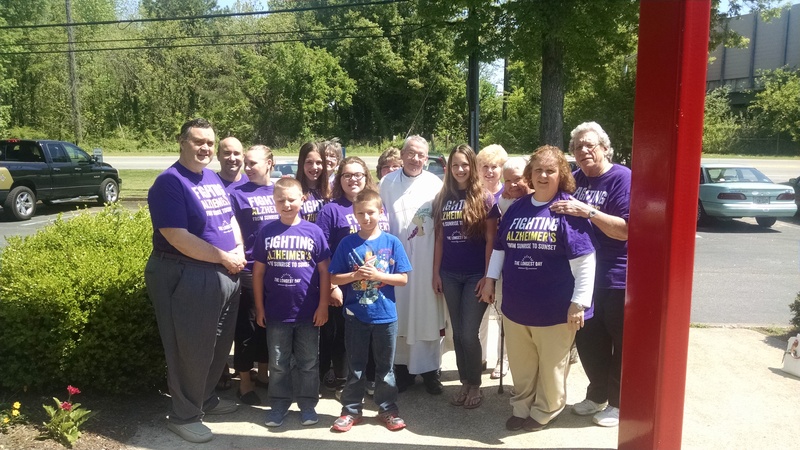 Thanks to their efforts, over $14,000 has been raised to help provide education and support to individuals and families living with Alzheimer’s throughout Southeastern Virginia. Donations can be made through August 31, 2015, so if you have been thinking about supporting our teams there is still time. Visit www.alz.org/tld to donate to your favorite team. Be sure to follow our progress on Facebook and in our enewsletter. THANK YOU! teams for your decision to join us this year and for accepting the challenge to impact the lives of so many in a very positive way.